Welcome to the Diamond Boys Baseball Club. 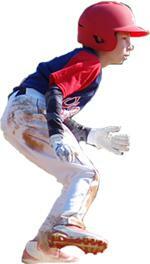 The Diamond Boys were established in 1996 as a highly competitive baseball team for talented student-athletes. Our goal has and always will be to help our players become better athletes, better people, and provide the opportunity to showcase their talents to both college and professional scouts through league and tournament play. We pride ourselves on the player development we provide. We will work hard to develop our players into fine young men, both on and off the field, and prepare them for the road ahead! We have our own indoor training facility, Strike Force Baseball Academy, where all DB players have membership. We are a Player Development Driven Program. Brand new Functional Training Program 6 weeks. 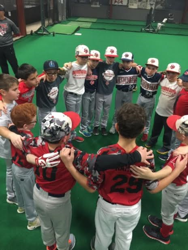 Our off-season Player Development Program (PDP) is a mandatory 8-week, 3 days-per-week program, which is included in the team fee. Continuing what is taught in PDP team off-season and in-season practices are a big part of each player and the teams development. We have no Dads coaching at 13u and up. All coaches are former or current college players, former professional players and even some former college coaches..
We develop Student - Athletes, stressing the importance of success in the classroom. Players must maintain a 3.0 GPA or better. "Every day, I have the opportunity to teach the game of baseball, there is nothing better than having a job where you can do what you love. Over the years I have been very fortunate to surround myself with players and coaches who have the same love of the game. 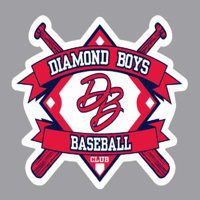 Diamond Boys Baseball Club was established in 1996, and has been built by hard work, dedication and a passion for the game. In return, I have made life long friends and memories. 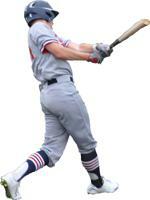 Many former players have returned as coaches to continue the legacy of Diamond Boys Baseball. The satisfaction of watching young players develop their skills and mature into fine young men is indescribable. Our goal is to assist our players to be the best they can be on and off the field. Together, we will advance this proven formula for success and continue to be the top baseball club in the region."